Here at Modesti’s Car Care Center we have been around long enough to see a lot of changes in automotive technology over the years. We used to adjust carburetors in the 70’s, then moved on to fuel injection in the 80’s and were amazed by electronic control units (aka computers) from the 80’s to the 90’s. Fast forward to today and we have cars that are rolling computers incorporating gas and electric motors working together to squeeze every last drop of fuel economy you can get from your car. These changes have driven us to always seek out training for our staff from day one so we can continue to provide industry leading service and repair to you. No matter what you drive whether it’s a hybrid or electric car we want to be your first choice for service and repair On your hybrid car. It’s hard to believe that we have already serviced and repaired a variety of hybrid models for over a decade. Wow! Time flies when you’re having fun. Modesti’s Car Care Center is a local, family-run, green auto repair shop in Culver City (across from Playa Vista), and we are dedicated to helping take care of the environment for future generations. That’s one of the reasons we love working on all years and models of hybrids. Our Automotive Service Excellence Certified (ASE) technicians have the experience and the know how to navigate the specialized service and repair that your hybrid needs. Some of the models we work on are the Toyota Prius, Toyota Camry hybrid, Toyota Highlander Hybrid, Lexus CT200h, Lexus RX400h, Lexus ES300h, Honda Insight, Honda Accord hybrid, Honda Civic hybrid, Honda CR-Z, Hyundai Sonata hybrid, Ford Fusion hybrid, and the Ford Escape hybrid. If you don’t see your model here, don’t worry we can handle it. We provide a welcoming environment for our clients at Modesti’s Car Care Center because it’s important to us that you to feel comfortable at our shop. Our professional service advisors will help you once you arrive all the way until your car is ready for pickup. We know it’s an investment to keep your hybrid running at peak performance and that’s one reason that we offer a 3 year or 36,000-mile warranty on our repairs. You shouldn’t have to worry about the repairs we do so it’s a nationwide warranty too! We also offer a comfortable customer lounge with wifi for you to relax in. If you’re on the go, we also have a free local courtesy shuttle to drop you off and pick you up. So simply stop by, give us a call or schedule your appointment online today and get ready to experience the difference at Modesti’s Car Care Center! Whether you drive an electric car or hybrid vehicle to help the environment, save money on gas or simply because you like a quieter ride, when it’s time for hybrid repair in Culver City, CA, make sure to bring your automobile to Modesti’s Car Care Center! We specialize in providing complete hybrid repair and maintenance services to keep your hybrid car running the way that you expect it to. Our hybrid repair experts are ASE Certified Mechanics. Modesti’s Car Care Center is a local, family-run, green auto repair shop in Culver City, and we are dedicated to helping take care of the environment for future generations. That’s one of the reasons we love working on all years and models of hybrids and electric plug-in vehicles! Our expert mechanics are highly skilled, ASE Certified Technicians who utilize the latest technology and diagnostic equipment to handle all of your automotive services. Whether you drive a Nissan Leaf, Toyota Prius, Ford Fusion Hybrid, Honda Accord Hybrid, Hyundai Sonata Hybrid, or more, we can help you keep it on the road running better, longer! 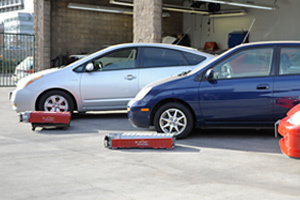 We guarantee our hybrid repair services in Culver City! Wherever you take your automobile for service, it’s important that you feel confident in the care you are receiving. At Modesti’s Car Care Center, we are focused on helping your hybrid repair experience be convenient and enjoyable! When you bring your vehicle in for car repair or maintenance services, feel free to relax in our comfortable customer lounge with free Wi-Fi Internet. Or, if you have somewhere you need to be, take advantage of our free local shuttle service to get you around! And of course we guarantee our hybrid repair services by an industry-leading 3 year/36,000 mile nationwide warranty, so you know your automobile is truly in the best hands. 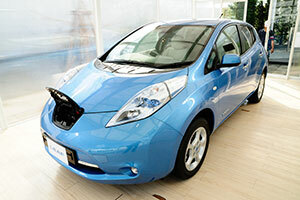 Taking care of your electric vehicle or hybrid car may seem tedious at times, but keeping up with its maintenance services does wonders for your car’s fuel efficiency, emissions and drivability. Especially here in Culver City, hybrid repair and maintenance upkeep is very beneficial the quality of our air, as well as your daily commute time – plug-in hybrid and electric car drivers can access the HOV Lanes without a passenger! So simply stop by, give us a call or schedule your appointment online today and get ready to experience the difference at Modesti’s Car Care Center!